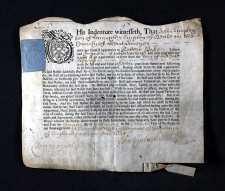 In our Wills Project, the earliest mention of one of our ancestors is of John Emptiache, in a will dated 1489. It was not his own will but that of somebody for whom he was feofee or trustee of some land belonging to the testator. We don’t know how old John was at the time but it is clear that he was an adult. 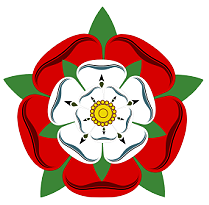 John lived during the War of the Roses (1455–1485), when the the House of Lancaster (whose symbol was a red rose) and the House of York (associated with a white rose), the two branches of the royal House of Plantagenet, fought for the throne of England. In effect, it was a civil war which raged across the country for thirty years. In 1485, Henry Tudor came to the throne following the Battle of Bosworth Field, when the last Yorkist king, Richard III was killed. Henry was the last of the Lancastrian claimants (through his mother, Margaret Beaufort, great granddaughter of John of Gaunt, Duke of Lancaster). Henry married Elizabeth of York, daughter and heir of King Edward IV, thus uniting the two branches. Henry was the grandson of son of Sir Owen Tudor, a Welsh courtier and, as Henry VII, he became the first of the Tudor Monarchs. 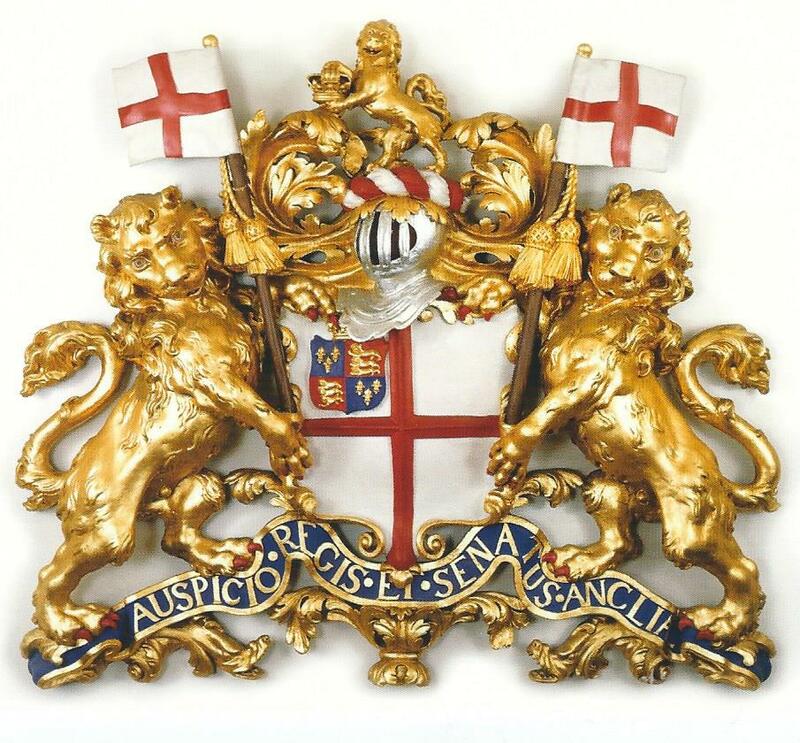 The Tudor crest symbolically combined the red and white roses. In 1534 King Henry VIII of England, who wished to have his marriage to Catherine of Aragon (the widow of his brother Arthur) annulled but was refused by the Pope, began the process which became the Reformation, separating the English Church from the control of the Roman Catholic Church and which led to the dissolution of the monasteries in 1536. In 1538	Thomas Cromwell, Henry VIII’s Vicar General, ordered that every baptism, marriage and burial was to be recorded in books known as parish registers. These were merely single sheets of paper loosely bound together. In many cases the pages succumbed to damp or even mice and the home-made ink faded but a remarkable number of registers survived. Not all parish vicars and church wardens were diligent in the keeping of the records. They only had to be completed weekly and no doubt errors and omissions were made as some baptisms, marriages and burials were forgotten or even ascribed to the wrong person. In 1558, under Queen Elizabeth I, the parish registers were to be made of parchment, with the old paper pages copied into the new registers. Not all of the pages were copied and, given the legibility and state of the ink and pages, no doubt there were transcription errors (the scourge of the family historian through the centuries). From 1597 a copy of the records had to be made and sent to the Bishop annually, known as Bishop’s Transcriptions, though there were probably gaps in these. The first Emptage baptism in Thanet which we have on record was that of Anna, daughter of John and Joane, in Margate, Thanet, in 1560. The earliest marriage record in Margate is that of Richard Emptage, to June (Joan) Allyne in 1565. And the earliest burial was that of Mychaell (Michael) Emptage, at Whitstable, just outside Thanet. Without those parish registers, instigated by Thomas Cromwell and reinforced by Queen Elizabeth I, few family historians would be able to research further back than the time of Civil Registration which began in 1837. However, during the Civil War and the period of the Commonwealth (1642–60) the records were poorly kept, sometimes hidden and some were lost (all of which results in many family historians wondering what happened to their ancestors). The age of the Tudor Monarchs coincided with a renaissance throughout Europe. 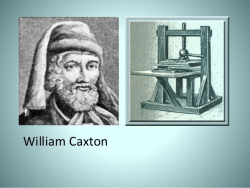 The printing press had been invented in 1440 in Germany. It was one of the most influential inventions ever, leading to a revolution in mass communication and permanently altering the structure of society. 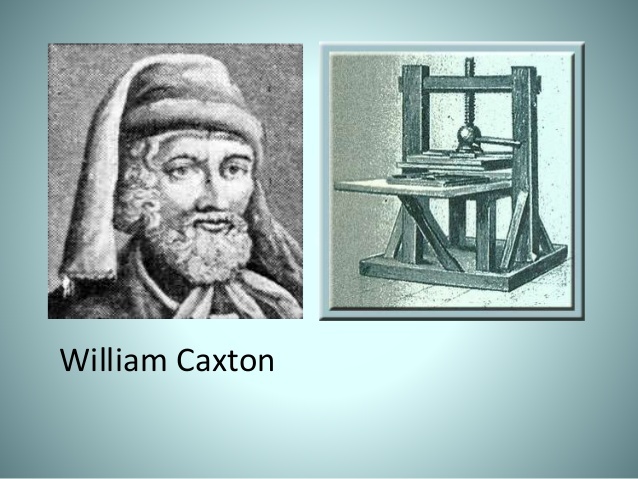 In 1476 William Caxton had set up a press at Westminster, to produce the first printed books in England using those techniques invented in Germany. The new printing presses were turning out quantities of cheap books and pamphlets, bringing new ideas and information to anybody who could read. Architects, painters, musicians, writers, sculptors and scholars began to look at the world in new ways, to use new techniques and to explore new theories. The most famous playwright of all time, William Shakespeare, would be born in 1564, in Stratford-upon-Avon, England. It was a time of expansion: of knowledge about the world, of exploration and of international trade. On a voyage from 1577 to 1580 Francis Drake would circumnavigate the world. 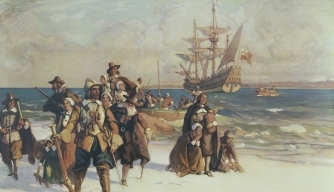 In 1585 Walter Raleigh would found the first colony in America. Although that colony failed, a later one would give England a firm foothold in North America. Many children were born into this exciting new age and their descendants were to spread around the world. With our articles we aim to illuminate some of our ancestors lives and to set them in the context of the times in which they lived. 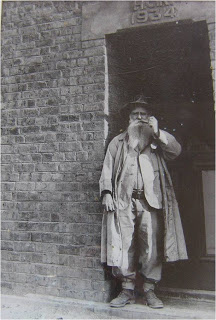 Prior to the provision of workhouses, when parishioners fell on hard times the Churchwardens and Overseers of the Poor were responsible for providing for them. However, they would make every attempt to trace relatives who could provide for the poor parishioners rather than have them a burden on the parish. And so it was that in 1737 John Emptage a joyner and citizen of London was requested by the parish of Deal in Kent to pay a sum of money towards the upkeep of his daughter in-law and her four children following the disappearance of her husband, Humphrey. 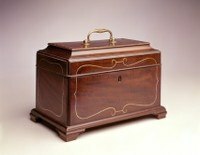 In 1745, John’s grandson, also named John Emptage, appeared at the London law court, the Old Bailey, accused of stealing a small tea chest. He was convicted and was sentenced to be transported for seven years, to North America. 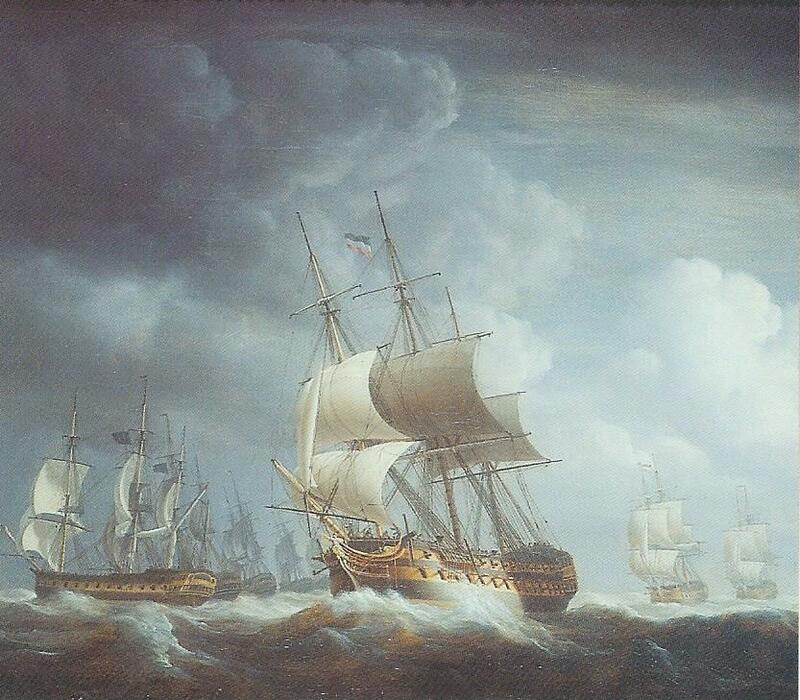 In 1743–44, England was at war with France, a war which was to last for many years. 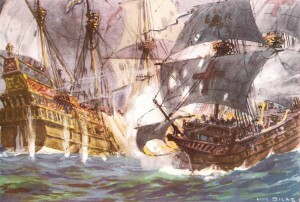 The English fleet was in the English Channel, ready to repel an invasion by the French. The navy ships needed supplies and local boat owners were contracted to the Navy Board but it was short of money and not so keen on paying for the service. In 1745 Thomas Emptage pleaded with the Navy Board to be paid at least some of what he was owed, so that he could maintain his boat and pay his men. George Emptage was born in 1733, in Rotherhithe, on the south bank of the River Thames in London. Though a village it was also a thriving port and George grew up among the ships which sailed all over the world. In 1752 he joined the Bombay Marine, the East India Company’s private navy, as a midshipman and rose to be commodore. He died in service, in India, in 1785. Some of our ancestors served in the Royal Navy, including during the Napleonic wars 1803 – 1815 and one had the pleasure of conversing with Napoleon Bonaparte on board the ship which took him into exile. And later, to recount his story and provide anecdotal evidence of the type of hat which Bonaparte wore. The impact of new technology in farming led to mass movement of agricultural workers into the factories and mills in the towns. 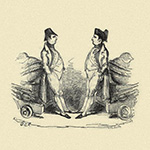 The Swing Riots of 1830 led to the transportation to Tasmania of one of the rioters, Thomas Hepburn, who was married to Elizabeth Emptage. She followed him to Australia and they raised their family there after he had served his time. 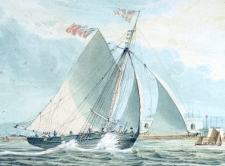 Another Emptage to join the East India Company was William Henry, becoming an Able Bodied Seaman, sailing between England and India. In 1851, in his early twenties, he signed on with the Hudson Bay Company, making the long and perilous voyage around Cape Horn to Vancouver Island, where the company had established a fur trading post. The area became known as British Columbia in Canada. We don’t know if William Henry intended to remain there but shortly after arrival he suffered a life changing injury which gave him no alternative but to stay. He became a well respected Canadian pioneer, marrying the daughter of a local chief and establishing the Emptages in the area. A pioneer of a different type was Herbert George Robins, the son of George Robins and Martha Ann Emptage. Aged 25, he arrived in South Africa in 1892. He studied many sciences as a hobby and was a Fellow of several societies, including the Royal Astronomical Society. George bought large areas of land with a large variety and number of game. He put an end to the shooting of the game and took active steps to stop poaching on his land. He established a large private zoological park. George became a determined defender of the Wankie Game Reserve which had been established close to his land. And he bequeathed his own land to the Southern Rhodesian Government on condition that it be maintained for all time as a game sanctuary. As well as those who served in the navy, we have ancestors who served in the army, in the Crimean War, the Boer Wars, the First World War, the Second World War and the Korean War. We do not forget them. In the 500 years since the time of John Emptiache, many events and inventions have affected the lives of our ancestors, the development or successors of which we mostly take for granted today and cannot imagine life without. 1553 Mary, the daughter of Henry VIII and Catherine of Aragon becomes Queen of England and Ireland and re-establishes the Catholic faith. Mary issues a proclamation that she will not compel any of her subjects to follow her religion but before long several leading Protestant churchmen are imprisoned. During her reign, she has over 280 Protestant dissenters burned at the stake, earning the nickname of ‘Bloody Mary’. Though married to Prince Philip of Spain, later King of Spain, Mary had no children and the succession passes to her half sister Elizabeth. 1558 The daughter of Henry VIII and Anne Boleyn, Elizabeth becomes Queen and re-introduces the Protestant faith. In religion, Elizabeth is relatively tolerant and avoids systematic persecution. 1577–80 At the behest of Queen Elizabeth, in 1577, Francis Drake sets sail for the American Pacific coast and the Spanish colonies, where he is to plunder the Spanish treasure and to attempt to find a north-west passage between the Pacific and Atlantic Oceans. Having completed his plundering of the Spanish colonies, Drake sails far north along the Pacific coast of the Americas but fails to find a way back to the Atlantic and so sails across the Pacific and back to England by way of the Cape of Good Hope. Drake becomes the first Englishman to circumnavigate the world. Of his small fleet of five ships, only his ship, the Golden Hind, survives. 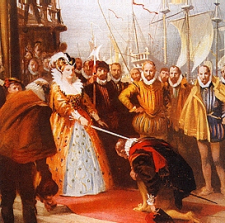 Seven months after he returns with a rich cargo of spices and the treasure which he had plundered from the Spanish colonies, Queen Elizabeth knights him on board the Golden Hind. Queen Elizabeth grants a Royal charter to a group of merchants, permitting them to trade in the East Indies. It will become the East India Company and grow to be the largest and most influential company that the world has ever seen. 1603 James VI of Scotland succeeds Queen Elizabeth I and becomes James I of England, the first of the Stuart monarchs. His succession leads to the political union of the two countries a hundred years later. 1605 Thirteen Catholic dissidents, disgruntled at the Protestant monarchy and anti-Catholic sentiment, spent months plotting to blow up King James I during the opening of the Parliament on 5 November 1605. They hoped to replace them with Catholic nobles who would lead the country back to the true faith. They rented a house close to the House of Lords and used existing passages to gain access to the building and to put in place the 36 barrels of gunpowder with which they hoped to destroy the building, kill the king and several ministers. However, one of the plotters wrote to a Catholic friend, Lord Monteagle, warning him not to go to the opening ceremony on 5 November. The King’s security service got hold of the letter and the Palace of Westminster was searched. 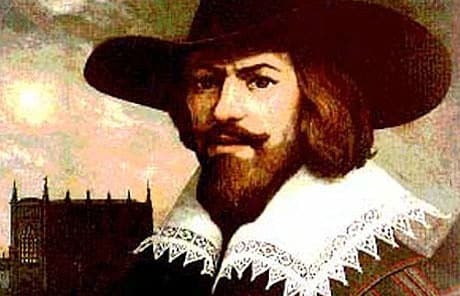 Guy Fawkes was discovered in the cellar with the gunpowder. He had been chosen to set off the massive bomb as he had expertise with mines and explosives acquired fighting for Catholic Spain against the Protestant Dutch Republic. Fawkes was arrested but managed to withstand 48 hours of tortured before giving the names of his fellow plotters, long enough to allow others to flee. However, others were caught and he and the other chief conspirators were executed. 1634 Sir Saunders Duncombe patents his version of the sedan chair and obtains a monopoly on the rental of ‘hackney chairs’ for fourteen years. Sedan chairs were first used in Sedan, in France, and made their first appearance in England in 1581 but were shunned by the public for making human beings do the work of animals. By 1634 opinion had changed. The sedan chair offered the surest way of travelling through the filthy streets of London whilst remaining dry, free from splattered mud and with one’s elaborate coiffure still in place. Hiring a sedan chair was cheaper than hiring a hackney carriage. 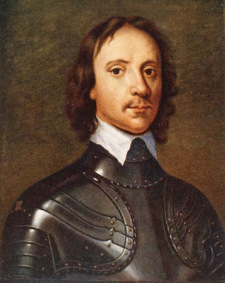 Descended from the sister of Thomas Cromwell, King Henry VIII’s Vicar General, Oliver Cromwell had become a fervent Puritan in the 1630s. He took a tolerant view of Protestants but was passionately opposed to the Catholic Church. He was the Member of parliament for Huntingdon and then Cambridge and entered the Civil War on the side of the Roundheads. He rose from the local militia to a strong leader in the army and played an important role in the defeat of the royalist forces. 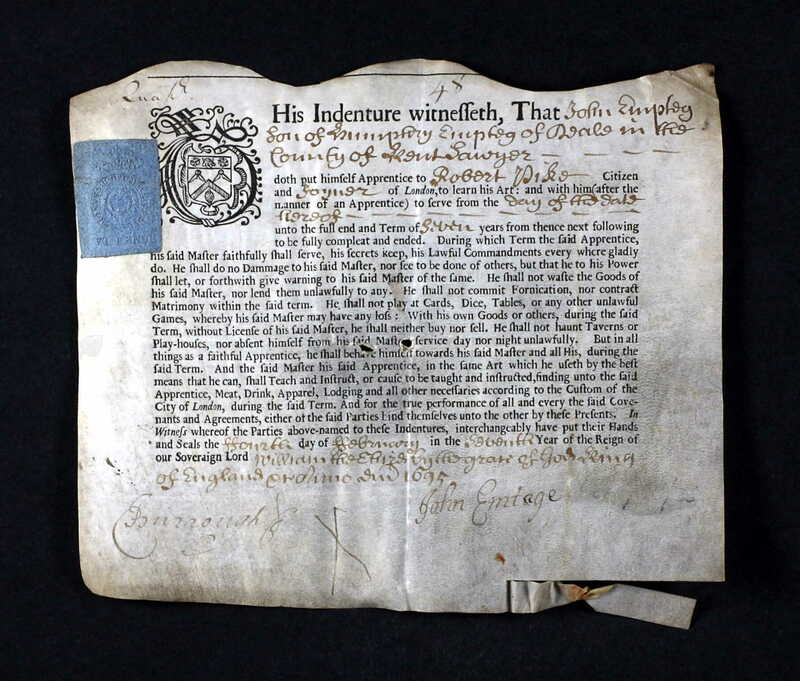 Cromwell had been one of the signatories of King Charles I’s death warrant in 1649. As Lord Protector, Cromwell has two key objectives: First, “healing and settling” the nation after the chaos of the civil wars and the regicide, by establishing a a stable form for the new government. Second, spiritual and moral reform, aiming to restore liberty of conscience and promote both outward and inward godliness throughout England. After his death in 1658, Oliver’s son Richard is appointed but proves not to be up to the task and once more various factions jostle for power during the reinstated but short-lived Commonwealth. Constitutional changes are made which allow Charles, the son of Charles I to be invited back from exile. The Great Fire of London breaks out. 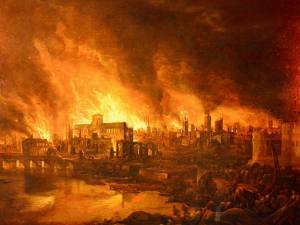 St Paul’s Cathedral and two-thirds of central London are destroyed and 65,000 people left homeless. 1778 The first flushing toilet was invented in 1596 but it isn’t until 1778 that Joseph Bramah of Yorkshire patents the first practical water closet in England. In the 1880s, a plumber named Thomas Crapper is asked to supply and fit thirty lavatories at the new country home of the Prince of Wales (later King Edward VII) at Sandringham, Norfolk. Thomas Crapper did not invent flushing lavatories but his name has been associated with them ever since. The world’s first cast iron bridge opens in Shropshire. 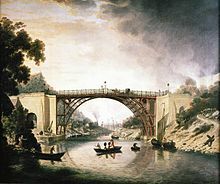 It is erected over a deep gorge formed by the River Severn, which was a busy trading route but which separated two important industrial parishes. The bridge had to be of a single span and high enough to allow ships to pass beneath. At sea, Vice Admiral Horatio Nelson, an inspirational leader with a superb grasp of strategy, who uses unconventional tactics which result in many decisive naval victories, is killed at the battle of Trafalgar in 1805. On land, Field Marshal Arthur Wellesly, the Duke of Wellington, defeats Napoleon at the Battle of Waterloo in 1815. 1825 The world’s first railway service using steam locomotives opens, connecting Stockton and Darlington, transporting coal from the collieries. In 1833 the steam locomotives begin drawing passenger wagons as well. The intention is to demonstrate Britain’s role as an industrial leader in areas where strength, durability, utility and quality are concerned, whether in iron and steel, machinery or textiles. 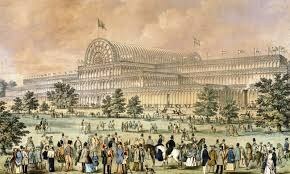 The Great Exhibition is housed in a temporary glass structure known as the Crystal Palace, in Hyde Park and is later moved to an area in Sydenham, south east London which becomes known as Crystal Palace. Unfortunately the building burns down in 1936. The provisions of the Public Libraries Act 1850 allowed local authorities to impose a local tax of one penny to pay for the service providing that a poll of ratepayers was held before the local authorities began spending money on public libraries. In the Manchester poll, only 40 of the more than 4,000 eligible voters opposed the plan. The project was the initiative of the Mayor, who started a fund to raise money for the building and the books. When the library opened it had a stock of 18,028 books and was so busy in its opening week that a police officer was assigned to control the crowd around the borrowing desk. 1854 An outbreak of cholera in the Soho district of London kills 616 people. John Snow, a physician, links the outbreak to contaminated water from the public water pump in Broad Street. John Snow’s discovery proves that disease is caused by germs capable of transmission by water and other media, rather than the widespread but vague notion of “bad” or “noxious” air. This discovery influences the work of public health provision and leads to the construction of improved sanitation facilities. Florence Nightingale, the lady with the lamp, nurses the wounded soldiers. She instigates practices such as the cleaning of hospitals and training for nurses. She and her nurses save many lives and in the process she becomes the founder of modern nursing. She begins the first professional nursing school in 1860. 1870 The first all metal bicycle appears, with a much larger front wheel than rear wheel, giving rise to the name ‘Penny Farthing’. 1879 Thomas Edison demonstrates the first practical incandescent filament light bulb. The first house to be lit by electric light is built a year later but it isn’t until after the First World War that electric lighting finally emerges as the predominant source of light in the home. 1907 Hand cranked mechanical washing machines had appeared in the early 1800s but doing the laundry still remained a major time consuming and labour intensive task. The inventor of the electric washing machine is unknown but in 1907 such machines begin to be sold, with electric wringers appearing in 1911. 1908 William Henry Hoover purchases the patent for the first portable electric vacuum cleaner from its inventor, a department store janitor who was unable to develop the design due to lack of funding. Vacuum cleaners remained a luxury item for many years, becoming more common among the middle classes after the Second World War. Now, most homes which are carpeted have vacuum cleaners. 1928 Scottish scientist, Alexander Fleming, discovers penicillin but he is a poor communicator and his discovery is largely ignored. It isn’t until 1940 that penicillin is shown to effectively cure bacterial infection and the challenge of mass producing penicillin begins. 1946 The National Insurance Act establishes a comprehensive system of social security throughout the United Kingdom. All persons of working age have to pay a weekly contribution and in return are entitled to a wide range of benefits including unemployment benefit and retirement pensions. Through the centuries, people were dependent on their local parish for help when they fell on hard times and were no longer able to work or support themselves. We know that several Emptages had to go to the Union Workhouse at Minster, Thanet, sometimes dying there. Others were born there, including Frank Sidney Smith and his mother, Minnie Clara Emptage. So the extension of the Welfare State in 1946 and the establishment of the NHS which followed two years later made a tremendous difference to the lives of the poorer members of the Emptage family. 1951 One hundred years after the Great Exhibition, the Festival of Britain is held, showcasing and promoting British science, technology, industrial design, architecture and the arts. It becomes a beacon for change. Much of London and other parts of the country is in ruins following the Second World War. The Festival is an attempt to give Britons a feeling of recovery and progresss and to promote better quality design in the rebuilding of Britain’s towns and cities. 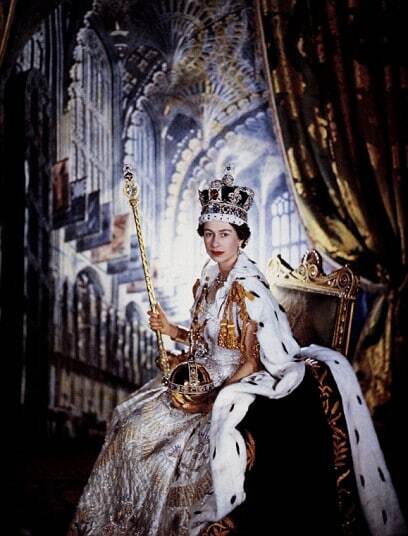 Elizabeth is 25 years old when she becomes Queen Elizabeth II of the United Kingdom, Canada, Australia and New Zealand and Head of the Commonwealth. In 2012 she celebrates her Diamond Jubilee and on 9 September 2015 becomes the longest reigning British monarch, surpassing the reign of her great great grandmother, Victoria. 1960s Companies begin to use computers for large scale number crunching / processing. They are large machines requiring their own rooms to accommodate them. Yuri Gagarin, a Russian pilot and cosmonaut, is the first human to journey into outer space. 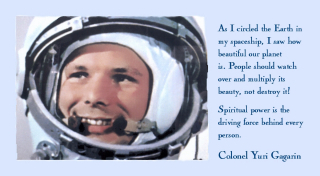 His spacecraft completes an orbit of the earth. The Lunar Module from the American spaceship Apollo 11 lands on the moon. 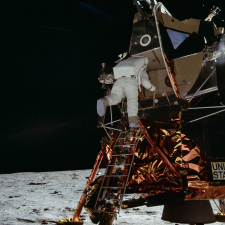 The astronaut, Neil Armstrong, becomes the first man to step on to the moon. Twenty minutes later he takes a photo of his fellow astronaut, Buzz Aldrin, descending from the module to the moon’s surface. The third astronaut, Mike Collins remains on board Apollo 11, orbiting the moon, waiting to retrieve his colleagues. 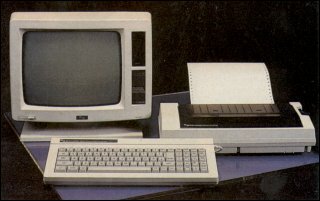 1981 A small portable personal computer but without a battery, is released. The first recognisable laptop with a screen in the lid, a keyboard in the base and a battery appears slightly later.